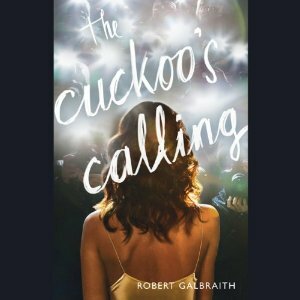 The Cuckoo’s Calling audiobook by Robert Galbraith, the pseudonym of J.K. Rowling, is without a doubt one of the best books of the year, combining a cast of colorful characters with a compelling narrative. The success of Rowling’s Harry Potter series is a testament to her talent as a writer, and The Cuckoo’s Calling proves that she can cross genres, seamlessly flitting from a magical Young Adult adventure to a gritty, high profile suicide thriller. The regular price for this audio book is $24.99, you can get it free at Audible with discount code when you try the service for 30 days. The Cuckoo’s Calling follows down-on-his-luck private detective Cormoran Strike in his pursuit to solve an international model’s apparent suicide. When the case is dropped on his lap, Detective Strike, an Afghanistan War vet who lost his leg to a land mine, only has one client and is living in his office – and on top of that, he just ended things with his longterm girlfriend. The case is too good to pass up. John Bristow comes to him, explains that it was his sister, the infamous supermodel Lula “Cuckoo” Landry, who fell to her death several months earlier, and begs Strike to take the case. This entry was posted in Mysteries & Thrillers Audiobooks and Coupons on August 6, 2013 by admin.